Neil makes a solar fruit dryer. By re-cycling used fruit boxes, Neil makes a multi-purpose solar fruit dryer which can also serve as a plant propagator and beeswax melter. Neil demonstrates a home-made dripper. To help you check whether your drip system is working, and to help you water your garden if your water supply is slightly saline. 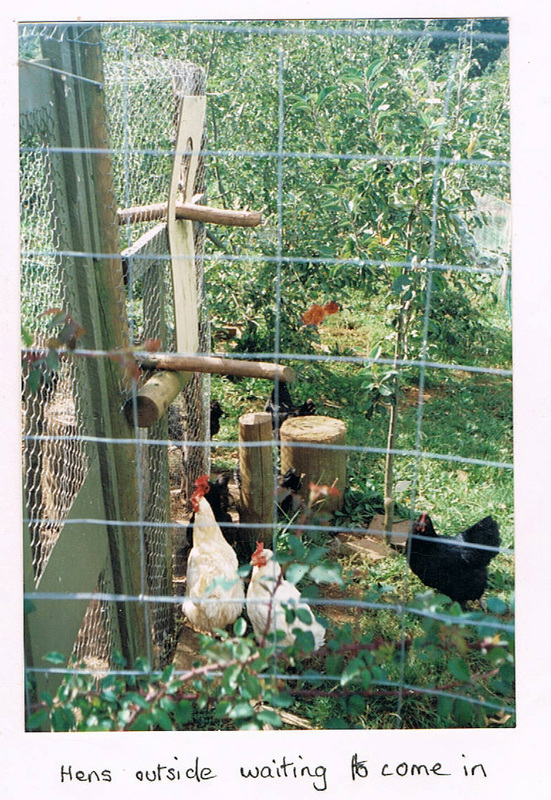 A system for allowing free range chooks to get in and out of a fox proof chook house. The entrance lets chooks in but not foxes. 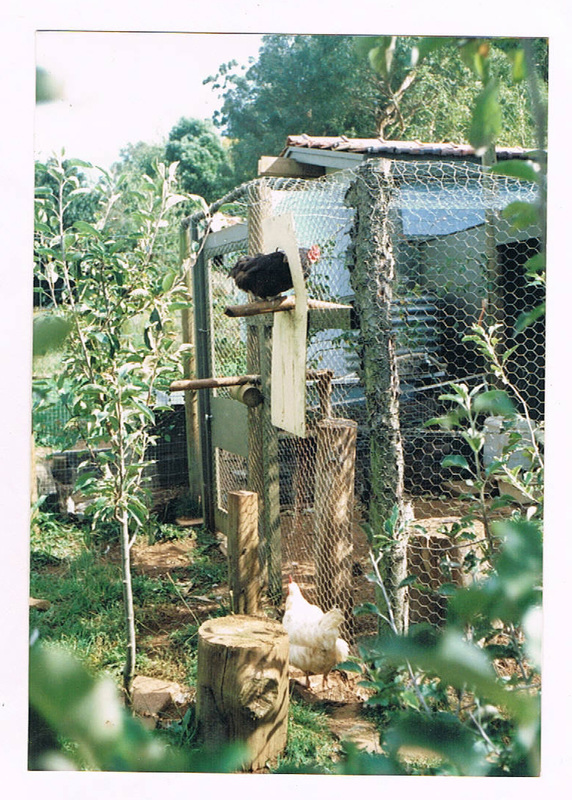 The chooks jump from the perches outside up to the entrance which has the sharp end of staples poking up to stop foxes pulling themselves through. 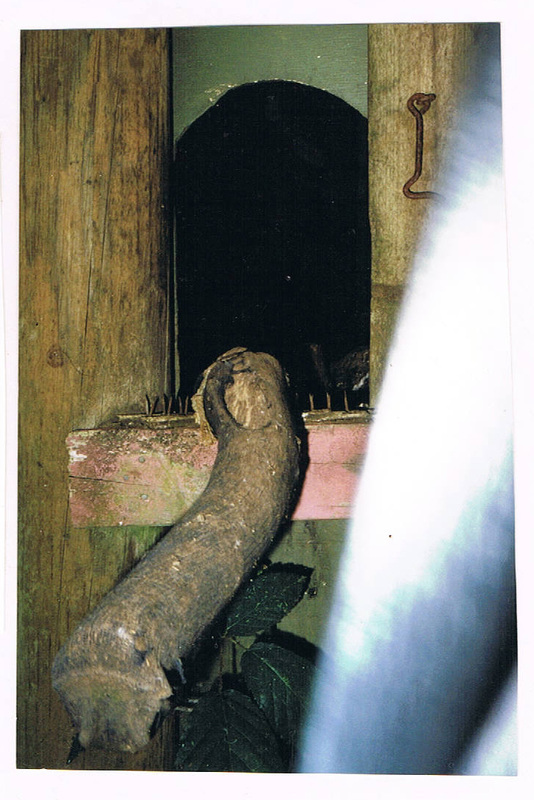 It was invented by David Locke and numerous chicken-owners use the system. Chooks can enter but foxes cannot. 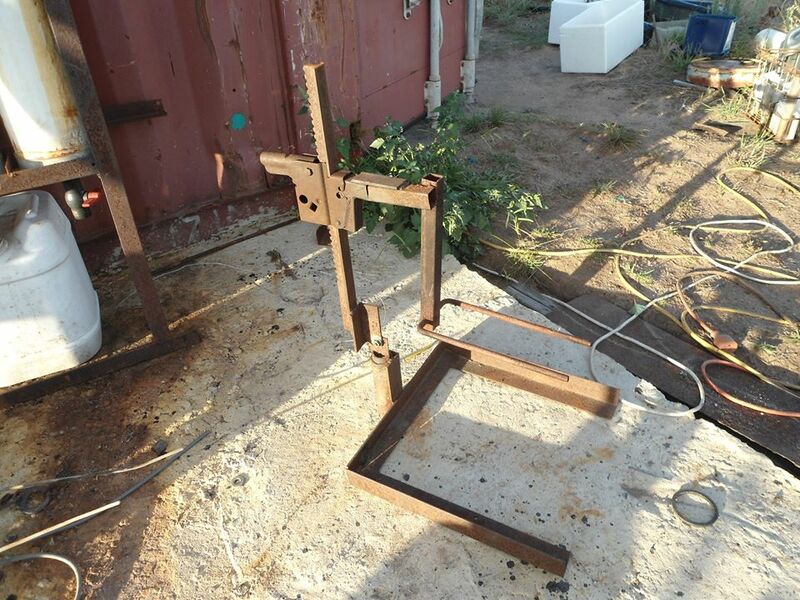 This was originally made up to cook on when I was working in the bush and camping out, it is made from some angle iron from an old bed frame, a car jack and a couple of other bits of recycled metal. The car jack thingie allows you to put the frying pan/saucepan at whatever height above the fire you choose and join with a bolt at the back allows you to keep it horizontal on a slope. 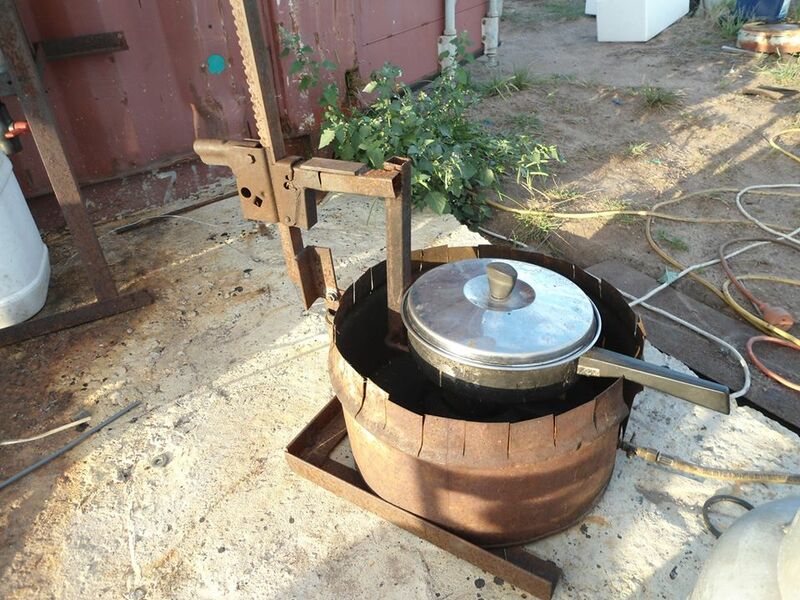 The bottom of a 60litre drum protects the fire from the wind. Now I use it ...with a gas burner. 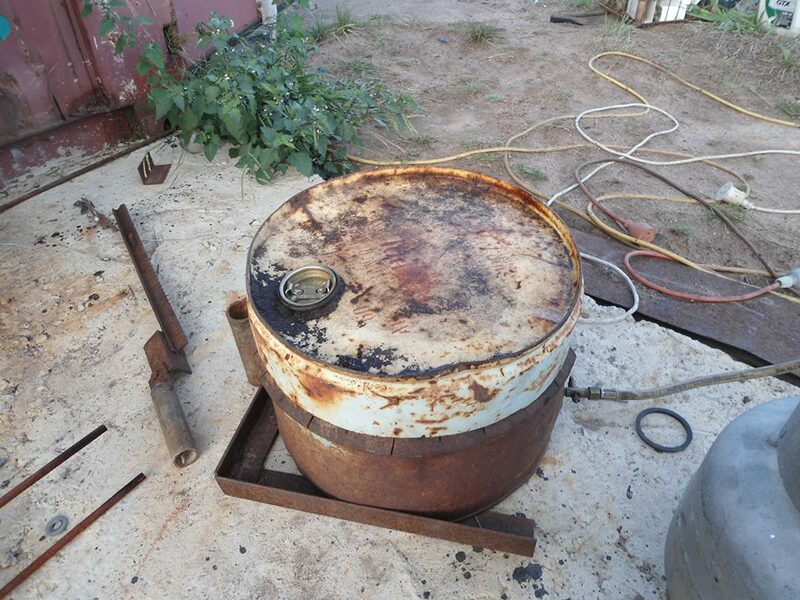 It also works very well with a camp oven with the top of the 60 litre drum as a lid. 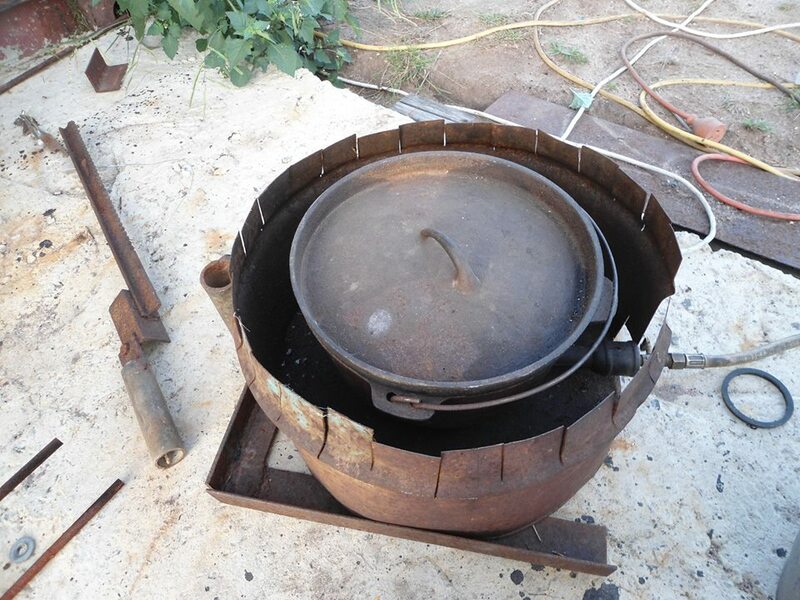 It comes apart and stacks flat for easy storage with the camp oven going in the drum. When I first took it out a few people pulled up and had a look at it and complimented me on it. However one young lad pulled up and stared at it for about 5 minutes in silence. The original was one piece and the fellow, after his in-depth thought said to me "If you put a bolt through the back you could make it a lot smaller to store in your car and keep your frying pan flat." 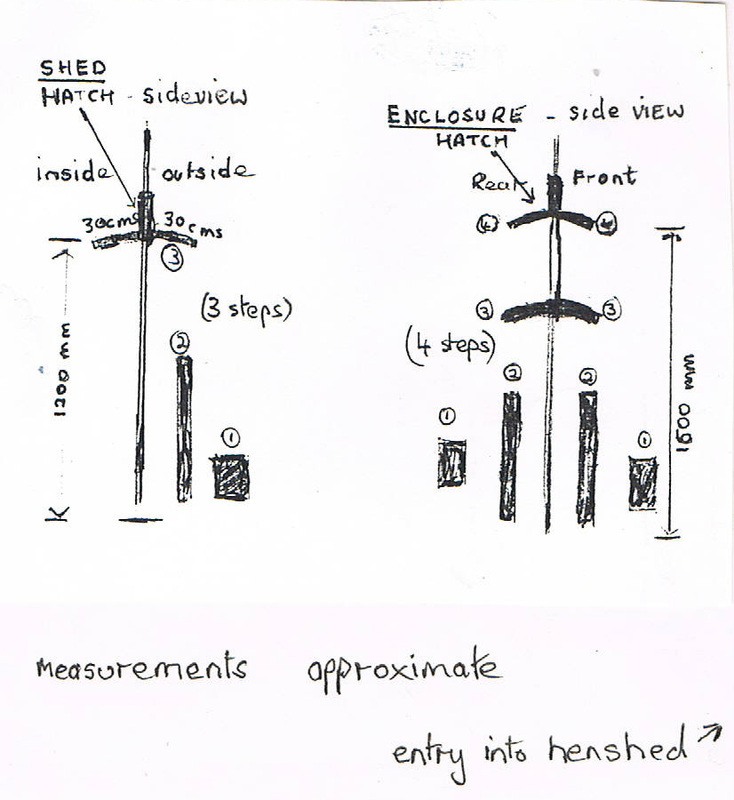 To make up wire stakes to hold tags for fruit trees or to keep tabs on what you plant in the vegie garden (essential for seed saving) weld a 20mm long piece of gal inch pipe to some angle iron. 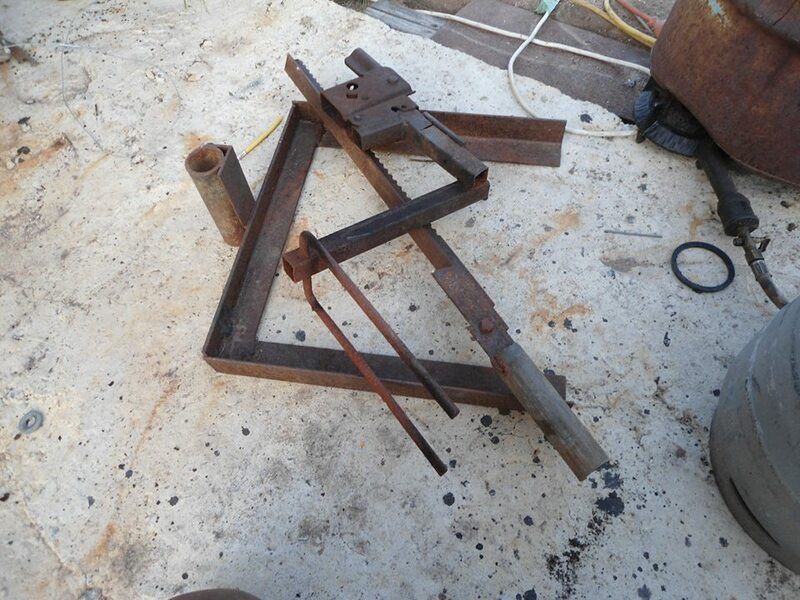 Then cut the pipe as above so you can bend these stakes for aluminium tags. A simple solar powered welder, three 12v batteries (that came from the tip and have been rejuvenated) are connected in series to give 36volts. The earth comes from the negative and the positive is connected to three lengths of stainless steel, first some pipe then some flat stainless steel and finally some stainless steel around 8m diameter. A system of sliding contacts with the lead to the welding handpiece allows me to control the amperage as stainless steel is a reasonable resistor. The further along the stainless from the positive battery lead, the greater the resistance and lower the amperage. Three solar panels connect to charge the batteries.